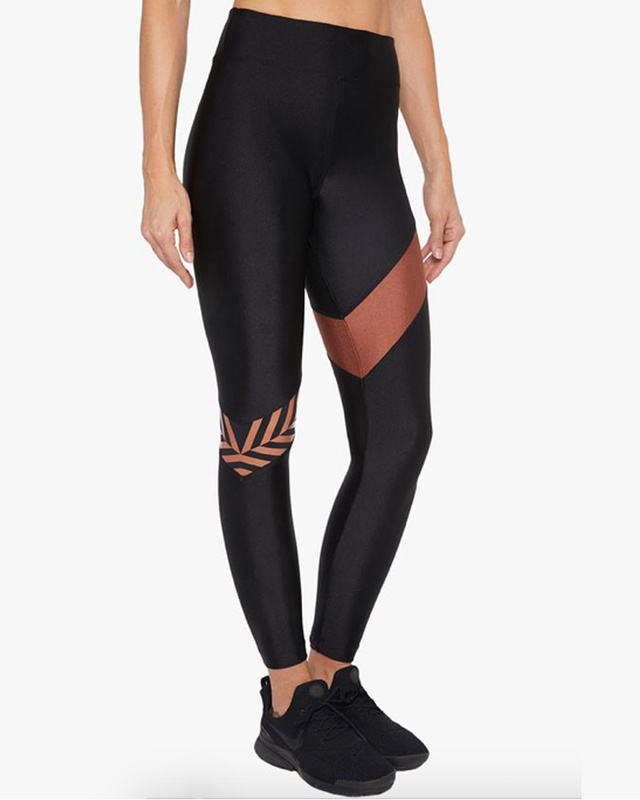 High rise, ankle length legging. 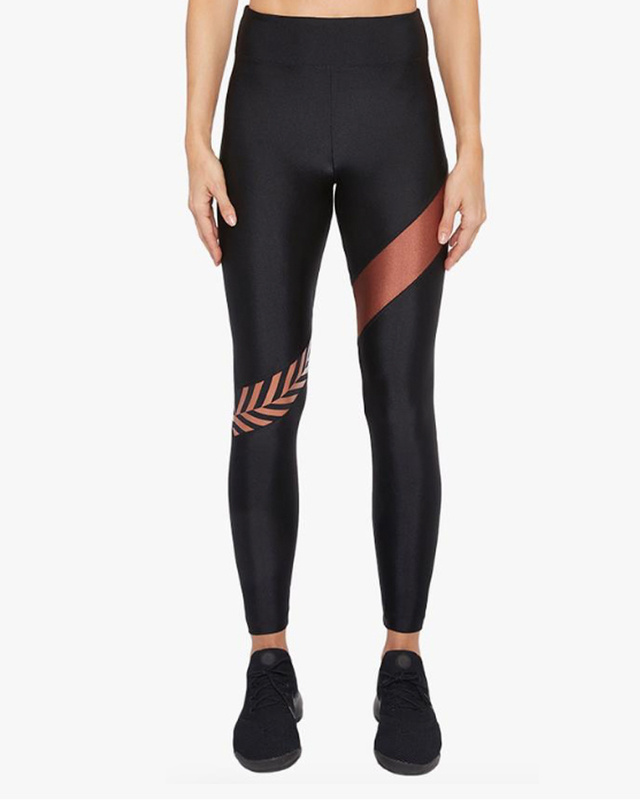 Cut from our lightweight, iridescent Limitless fabric in Bronze, offering 4-way stretch with compression. 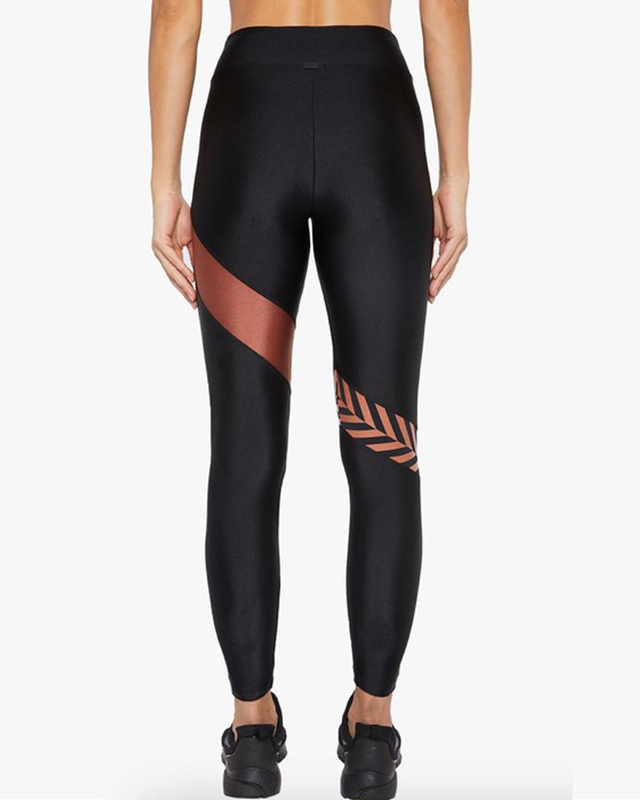 Featuring Black and Bronze tribal-inspired color block panel on right calf and Black panel on left thigh. Extra wide foldover waistband with contrast interior. Matte black logo plate at back waistband.